Being a single parent can be particularly difficult over the holiday period. Sometimes it is difficult to decide which is worst: allowing the children to spend Christmas with your ex or agreeing to see your ex over the holiday periods for the sake of the children. There are advantages to making Christmas a family day, at least as long as you and your ex do not have other partners. 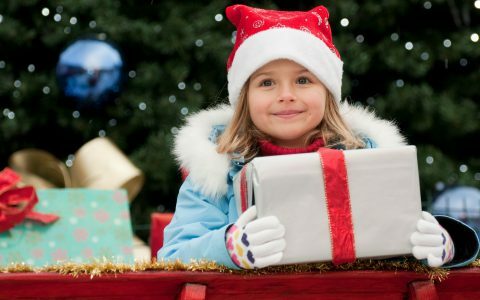 By maintaining a similar Christmas atmosphere to the one that you always had when you were one family, you make the whole situation easier for your kids. There are some tips that can be recommended to help you survive Christmas and get yourself to realize that “when I see my ex over Christmas, I will be able to cope”. 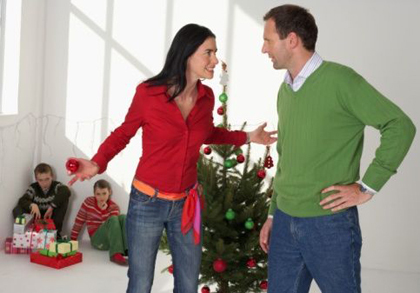 If you and your ex are unable to spend Christmas together with your children without displaying your anger for each other, this could be a sign that a joint Christmas does not work in your particular case. Having alternating Christmases (where your children spend Christmas with you one year and Christmas with your ex the next, and so on) may work better for your family. When I see my ex on Christmas I remind myself that we are doing it for the children and not for ourselves, which helps me to sweep any ill feelings under the carpet. Whether or not you and your ex are having a joint Christmas with the children, it is very important that you make the most of every moment that you have with your child or children. Focus on the time you do have rather than lamenting the time that you don’t have. You also need to remember that your ex loves your children too and that he or she also wants to spend as much time with them as possible. By having a joint Christmas it is possible for you both to be around your children on this festive day. If, on the other hand, you choose to alternate Christmases, include rituals on the years that you don’t see your child. For example, set a time for phoning them each year. Relish the phone call and avoid feeling bitter about not being able to see them in person. Chances are that you will have to see your ex on Christmas even if you are not having a joint Christmas with them, so develop a forgiving and accepting attitude. In other words, you need to consider the wants of your children above your own at Christmas. Even if the only time you see your child is every second Christmas, if they want to make changes to your plans, let them. Discussing the role your children will play in decision making will make seeing your ex on this day far easier. It may be quite a tall order, but it is very important to love your children more than you hate your ex. Christmas is about happiness and giving and, for the sake of your children, you need to put the animosity you feel towards your ex at the back of your mind where it cannot interfere with your children’s enjoyment of the day. If you see your ex over the Christmas season, you are probably doing it for the children. Always tell yourself that “I see my ex over Christmas for the sake of my children”. The holidays aren’t about getting even with your ex; they are about finding joy and being together for the sake of your children. If you don’t approach this period with the right frame of mind, then you are missing the point and it would be better to consider an arrangement where you and your ex do not have to see each other at all over the Christmas period. This also comes back to the simple task of putting your child’s needs and happiness above your own desires at all times. If it is possible, keep the Christmas schedule as similar as possible to how it was before you divorced – this will only work if your entire family will be able to spend time together without fighting. If you’re alternating Christmases there should be fixed patterns – this means that some years one parent will get more holidays with the children than the other, but in the long run it evens out. Once you and your ex have agreed on a holiday schedule that works for your family, stick to it. On years when you are alone, see what your friends and family are up to and find out whether or not you will be able to join them – there is no reason for you to stay at home by yourself over the festive season. Keep the reasons for your separation and divorce in mind over Christmas, without mentioning them to your children. This makes seeing your ex over this time far easier to bear. There are good reasons for why you are not with him or her anymore. The loneliness of not seeing your children every Christmas or having to share them with your ex on that day is a small price to pay in comparison to the reasons why you left your ex in the first place. If you feel that the divorce or separation was truly the right thing to do, it will make it far easier to sacrifice time with your children. Both of these days are usually separated. This gives you and your ex the opportunity to both see your children each year, if distance permits; one of you can see them on Christmas Eve and one of you can see them on Christmas day. Firstly it will make the Christmas season easier for you to handle if you expect change and are able to adapt to it. It will be good practice for your children who will one day also have to juggle both parents as well as in-laws when they marry and leave home – in this case flexibility sets a good example that will ensure that your children enjoy the festive season both now and in the future. Each year may bring with the need to make new changes to the Christmas schedule. This is to account for the divorce, as well as remarriages. Flexibility is also necessary for dealing with the changing wants and needs of your children as they age. Being strict and formulaic will most likely make the holiday season more difficult than it needs to be. Seeing your ex on Christmas will never be easy, no matter what the reason for breaking it off with them in the first place. However, if it is in the best interests of the children for you and your ex to get on with each other at certain times of the year, that little reminder of “see my ex for my children” goes a long way. Over the ears it will become easier as you and they put measures in place and develop strategies for dealing with seeing each other. In the long run your children will thank you and you will have set a good example for them of how to deal with their relationships in the future.